5 Reasons to Use Craftivities in your classroom! "Mrs. Hanson, we've been studying this for a while now. Isn't it about time that we do a craftivity?" Heads around the room nodded in agreement. That question posed to me during language arts by an eager 5th grade boy was music to my ears. How cool is that? I thought to myself. He figured out the pattern of how we usually create a craftivity to culminate a particular unit, and they are excited to receive a craftivity assignment! 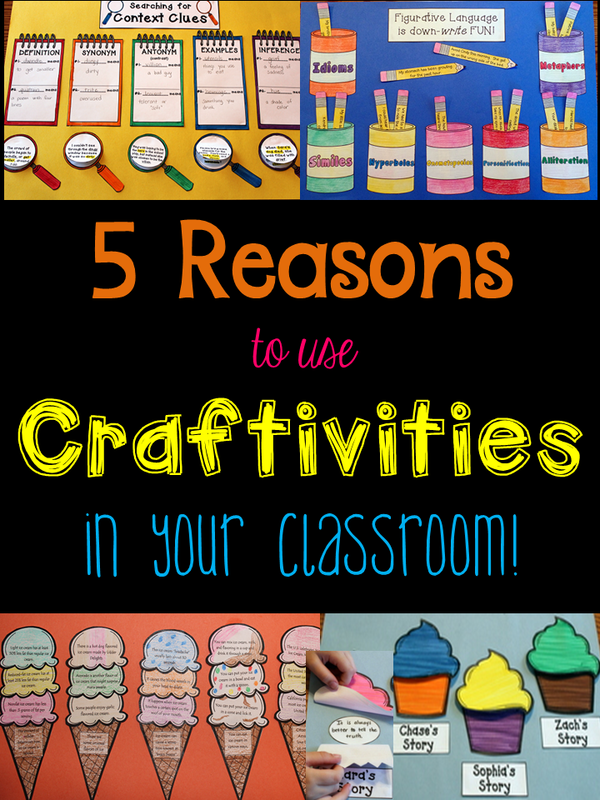 Today I am going to share with you 5 of the top reasons why I love to use craftivities in the upper elementary classroom. #5- Craftivities make great bulletin boards! Students are extremely proud to display their finished craftivities. Plus, visitors and passersby know exactly what we have been studying in language arts. At my most recent school, younger students frequently trudged down the fifth grade hallway as they returned from recess, and we often heard "oohs!" and "aahs!" as they walked past. Once, I heard a student announce,"Look, they got to make ice cream cones!" to which the third grade teacher quickly responded, "Yes, it appears the fifth graders are learning about main idea just like we are! Do you notice how the main idea is written on the cone, and detail sentences are written on the scoops of ice cream?" Smart(homo)phones Craftivity- Photo courtesy of Tara at Teaching with TWitte. Saint Patrick's Day Idioms Craftivity- Photo courtesy of Cheryl Hoff. #4- Craftivities are meaningful activities to plan for substitutes on days you know you will be absent. Have you ever struggled to write sub plans? If you're like me, you hesitate to have a substitute introduce a new concept while you are gone, yet you want your students to be extending their knowledge of current concepts through meaningful lessons. Craftivities make planning for substitutes easy. 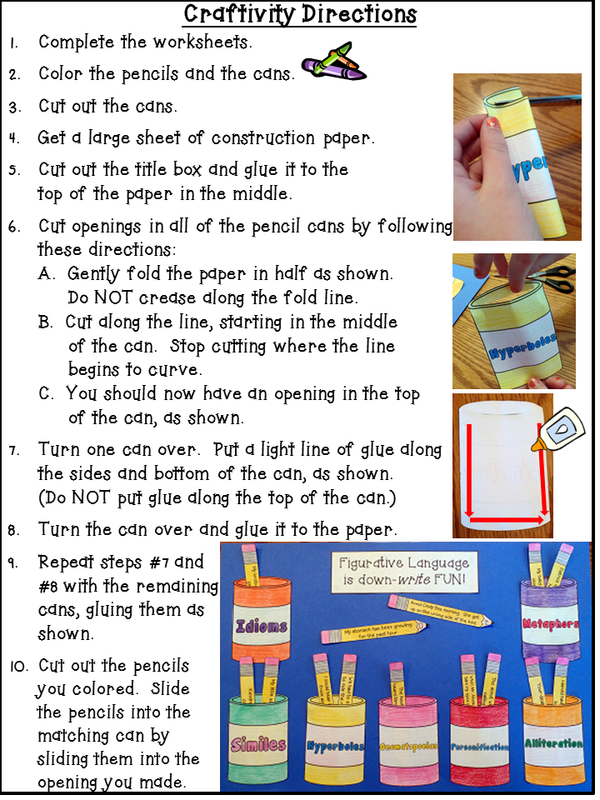 You simply have to gather the supplies, print the directions for the substitute to display, and you're set! I have experienced this myself, plus several teachers have left feedback telling me how simple it was to write a craftivity into sub plans. #3- Craftivities can be used as cooperative activities. I didn't realize this benefit at first because I tended to use craftivities as an end-of-unit project (and sometimes I even used the worksheet portion as my assessment!). However, several teachers have shared stories and left feedback telling me how well craftivities work as cooperative learning activities- especially when completed earlier in a unit while students are still practicing the skills and concepts. #2- Craftivities are memorable, and they aid in retention. I first started creating craftivities to help with a problem my ELL's were experiencing. (After talking with colleagues, I discovered that it wasn't just a problem among ELLs... non-English language learners were also struggling with this problem.) What was the problem? Well, I would plan and execute meaningful lessons around a certain academic concept.... let's use prefixes as an example. By the end of the unit, my students KNEW their prefixes, and proved it by doing well on an assessment. We'd move on to a new topic, and then one day a month later when I asked a prefix-related question, they stared at me blankly. I wanted to burst into tears when I realized that perhaps my lessons weren't as effective as I thought. I rapidly realized that a quick review was all that was needed to "jumpstart" their memories. However, I knew this wasn't good enough... after all, I wouldn't be able to provide a "quick review" when they encountered the word "prefixes" on a standardized test! A synonym roll from my synonym craftivity. Student 1: What is a synonym again? Student 2: Remember those synonym rolls we made? Student 1: Oh yeah! The words mean the same! #1- Craftivities are engaging and fun! Once I started using them in my classroom, students quickly began to ask to do more... and more! Nearly every craftivity that I have ever created begins with students completing a worksheet or creating some type of writing... but kids rarely seem to notice! 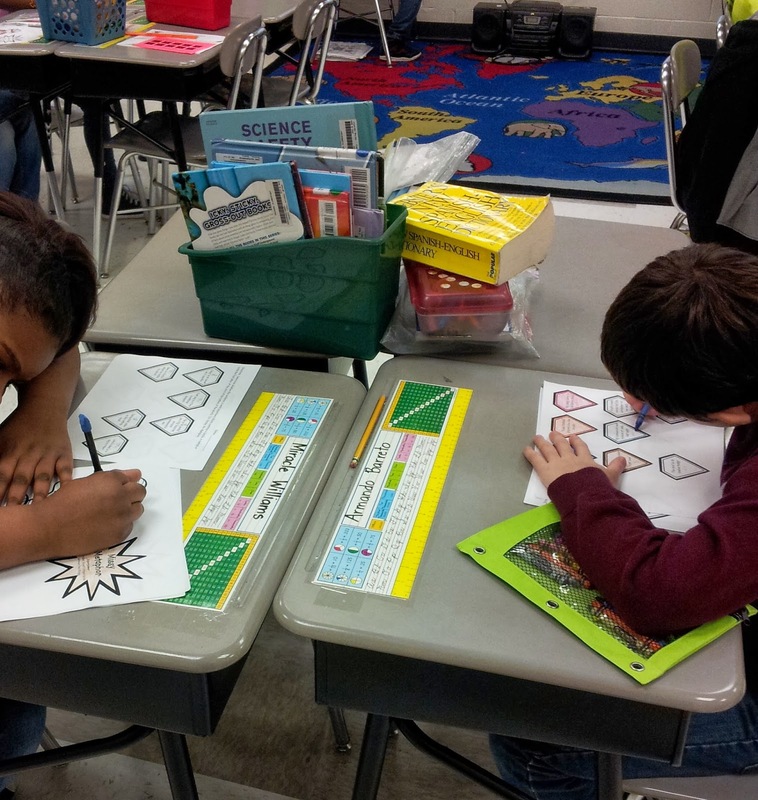 I never heard a single complaint about the initial worksheet because students were so eager to get to the step where they got to start coloring, cutting, and assembling their craftivities. Let's Make S'more Inferences Craftivity- Photo courtesy of Nichole at The Craft of Teaching. Simile Metaphor Alliteration Superhero Craftivity- Photo courtesy of Amy at The Core of Grade 4. Synonym Rolls photo courtesy of Staci at Let's Teach Something. There are so many more reasons why I love craftivities, also, but I've rambled enough for now! Do you want to try a craftivity to decide for yourself if they will work in your classroom? 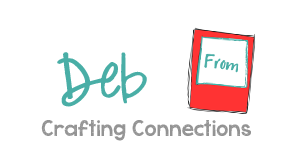 Hop over to my blog, Crafting Connections, to get an adjective/adverb craftivity for free. 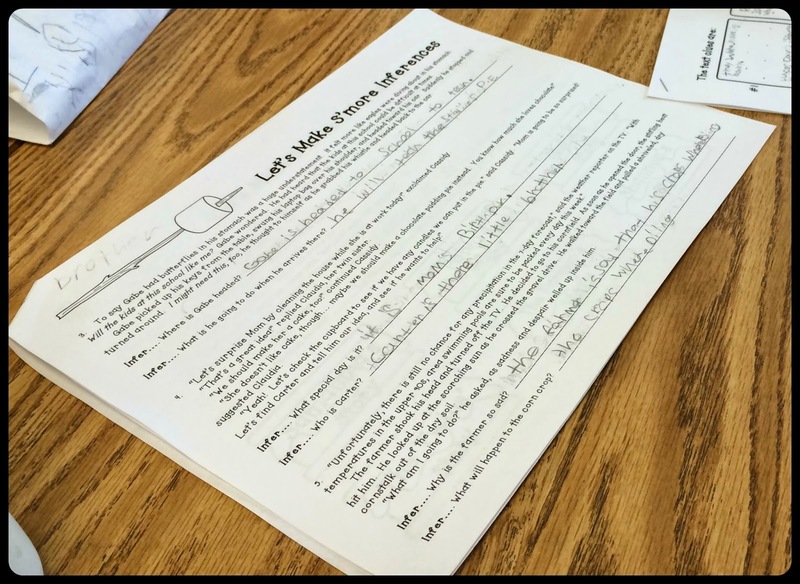 Also, you can read about how I use craftivities in students' interactive notebooks! Have you ever used a craftivity in your classroom? What did you think was the greatest benefit?